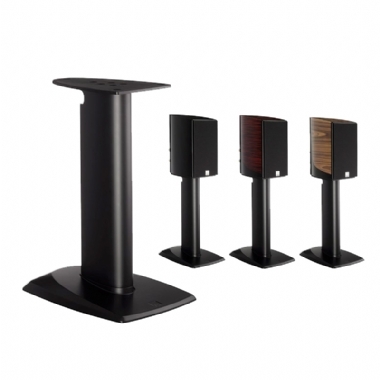 The solid and sleek Dali Epicon Stand has been designed exclusively for the EPICON 2 and EPICON VOKAL. The stand base is molded in die-cast zinc to add gravity, while the stand pole and mounting plate is done in aluminium. The inside of the pole is reinforced in a rigid grid formation to avoid distorting vibrations and with the possibility of hidden wiring. Furthermore a rubber membrane separates the mounting plate from the stand pole to reduce the transmission of vibrations.